Today, Facebook announced that it will make hashtags clickable in status updates published from both personal profiles and brand Pages. Previously, you could include hashtags, but there was no support in the platform for them and they were not clickable. The feature is rolling out to users gradually over the coming weeks, with some people getting access today. The hashtags now behave very similarly to hashtags on Twitter, bringing with them all the proven hashtag marketing strategies that professionals have been using on Twitter for the past few years. Additionally, you can search for a specific hashtag in the search bar, then create a new post from the feed for that hashtag without navigating anywhere else in Facebook. 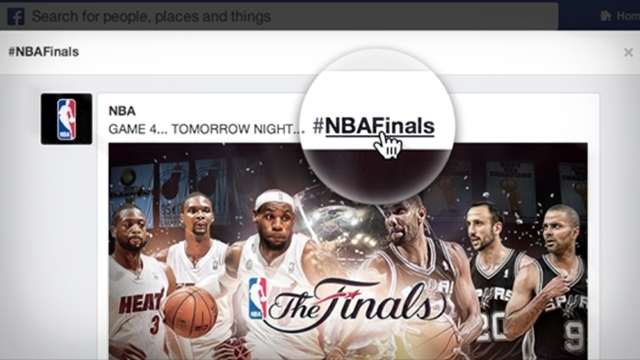 You can also click on hashtags in your Facebook feed that originate from some other services, such as Instagram. Facebook plans to “roll out a series of features that surface some of the most interesting discussions” around hashtags but has not revealed any details about these plans just yet. It’s also important to note that Facebook’s sophisticated privacy features present some limitations for your use of this feature as compared to Twitter, though the huge audience of Facebook and additional data context more than make up for it. The limitations stem from the fact that people using Facebook can (and often do) limit the reach of their posts to their immediate friends or friends of friends on the network. In other words, even with hashtags, posts that are private to you still won’t be visible. Facebook opened its announcement about the new clickable hashtags with a nod to consumers and brands’ use of social platforms for live TV discussions. Hashtags have innumerable uses for a wide variety kinds of brands and businesses, but the TV industry’s creative and lucrative use of the concept on Twitter was a major factor in the social network’s decision to finally go all-in on hashtags. When we attended the Lost Remote social TV conference in New York City several weeks ago, we noticed many industry leaders including USA Network’s Jesse Redniss lamenting Facebook’s lack of hashtags. Now their wish has been granted. We’ve already shown here at Insights that the TV industry is leading when it comes to leveraging hashtags for marketing, engagement, and monetization. Facebook noticed this too. Justin Osofsky, director of platform partnerships and operations, was quoted in AllFacebook citing HBO’s Game of Thrones mega-viral episode “Red Wedding” as one example how hashtags can best be leveraged to generate buzz. “Over the past few months, we’ve worked to better surface the conversations about TV and other shared interests that are already happening on Facebook,” Osofsky said. This is just another step in that journey. That future isn’t here yet, though — in fact, it’s barely visible on the horizon. So Facebook’s move is a smart one, and the new clickable hashtags are bound to prove immensely useful to marketers for months or years to come. If you’ve been using Twitter in your marketing strategy, you’re already familiar with how this works. 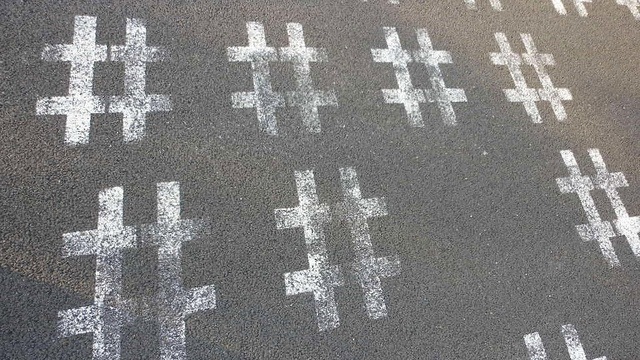 If you’ve just been using Facebook, it’s time to brush up on how hashtags can play a part in a social marketing strategy.